H/COMET is our revolutionary web application that allows for quickly comparing and evaluating crudes. Use our simple LP model with the basic subscription or upgrade to the Advanced Jacob's LP Model. 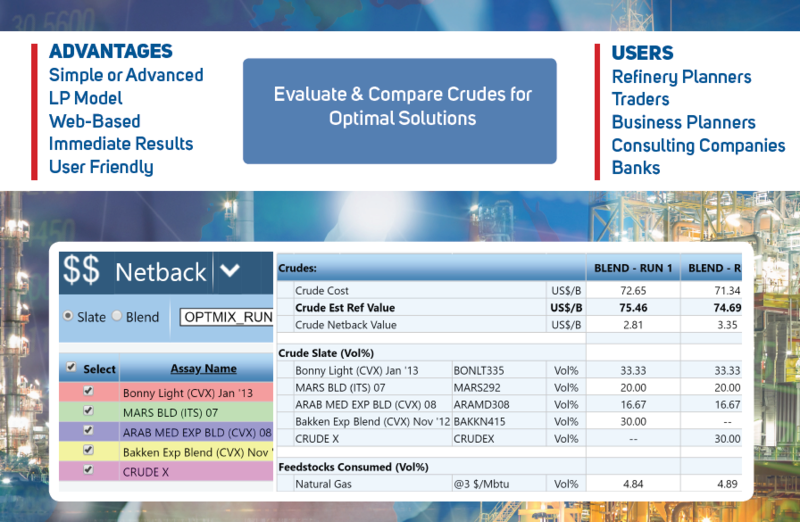 Perform easy-to-use crude substitution analysis for quick evaluation of crude values. Concise margin analysis report produced. CIMS (Crude Information Management System) - a web based application maintained by PetroTech Intel (PTI) which monitors new field discoveries and quality changes in existing crude grades.